How to take care of Khukuri? Nepal police service khukuri is an authentic khukuri of Nepal police. This type of khukuri is one of the simplest one, which is use in uniform by Nepal police(civil) or police armed force. 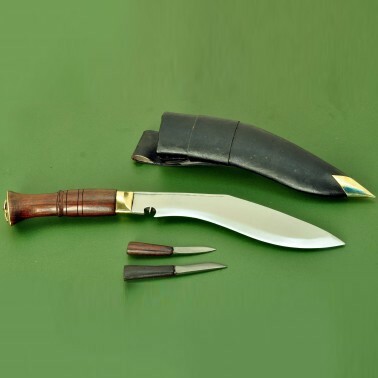 Khukuri or kukri is the National Weapon of Nepal. The Nepal Police khukuri or kukri is preferably made by Rose wood Handle and the blade is slightly broader than the Nepal Army Issue. 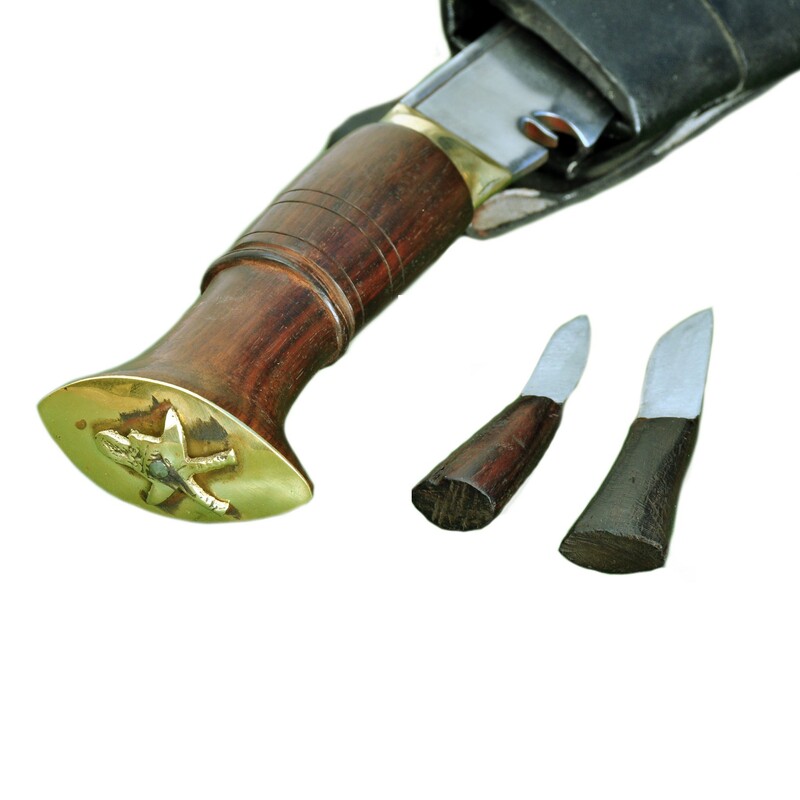 This Nepal Police khukuri has the cross khukuri insignia at the end cap of the handle. Blade Size and Type: 9 Inch and polished blade,Handmade. Complementary: Certificate of Guarantee, Tag, Wrapping Lokta Paper. Handle Size: 5 Inch and Fixed blade handle. Hardness of Steel: spine: 22-25 RC, belly: 45-46 RC, edge: 58-60 RC. Material Used: Highly Graded Carbon Steel, (car & Jeep leaf spring, 5160)Water Buffalo refine Leather for Scabbard(outside) and Rosewood for the Handle, Pinewood for the Scabbard (inside), Laha( Nepali Traditional Glue). Place of Origin: Dharan (East Nepal). Weight: 655 gms( 23 Oz Approx).